Happy April! No, that's not snow falling outside, shh. Ignore it and it may go away. 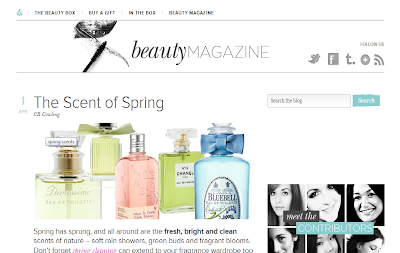 Instead, why not come on over and visit me at She Said Beauty, where I've rounded up five of the prettiest, freshest, greenest scents for spring?